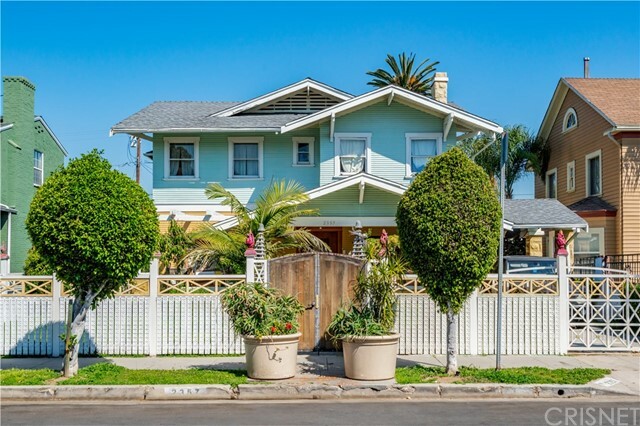 All Mid Los Angeles homes currently listed for sale in Los Angeles as of 04/26/2019 are shown below. You can change the search criteria at any time by pressing the 'Change Search' button below. "Great Mid-Los Angeles area just below Hot Koreatown. Huge potential to be an income producing property. Huge corner lot size at 10,139 Sq Ft. with plenty of room to build an ADU to make this place a Duplex. The many bedrooms and bathrooms are perfect for Airbnb or large extended family. Tremendous upside potential! Between Arlington Heights and Harvard Heights, Mins from DTLA, Hollywood, WeHo, Mid-City. Nearby many retail stores, markets, shops, and restaurants within walking distance." "This elegant 1913 estate with transitional Italian Renaissance Revival and Mission Revival architectural elements in historic La Fayette Square (HPOZ) rests on a rare spacious double lot at the end of a gated cul-de-sac. Initially affiliated with the Union Oil Company of California (Unocal) and owned by the current family for over 50 years; this home features beautiful mahogany wood, a formal living room with gas fireplace, classic formal dining room, built-in cabinets, beveled glass, original hardwood flooring, breakfast room, bathroom in the hallway leading to the kitchen, den/library, and basement. The upstairs has a master suite with a front balcony and Jack & Jill bathroom, 3 other bedrooms, a large bathroom, and a rear balcony. Large 3 car garage, laundry room, green house, and pergola. With a few upgrades and a little TLC you'll have a spectacular residence." "FIXER in Mid City. One of the last developments by banker George L. Crenshaw in the early 20th Century. Designed to have a European Flair this gated alcove of 236 homes is located in neighborhood of Lafayette Square. Norton Simon, Joe Lewis, George Pepperdine, Alexander Pantages are among the many notable residents who have lived in the neighborhood. Built in 1923 this home retains it original 1920's character. Period details include Batchelder tiled fireplace, & ornate crown moldings. The home is a blank canvas, the perfect DIY template to add your own style. With 4 oversized large bedroom & 2 baths upstairs. Downstairs a Grand entrance, Dining area & Living room, maids quarter bedroom & full bath, plus a powder room, and an alfresco covered porch just off the living room. The opportunity is yours to revive this Mediterranean home with an illustrious past & customize it to suit your taste. Property resides within the Lafayette Square Historic Property Overlay Zone." "This is a single family residence with COMMERCIAL OVERLY ZONED(LAC 2). Each floor is around 1,120 sq.ft. First floor has large window and wide floor plan to good for retail business . 2nd floor can use as a residential rental unit. 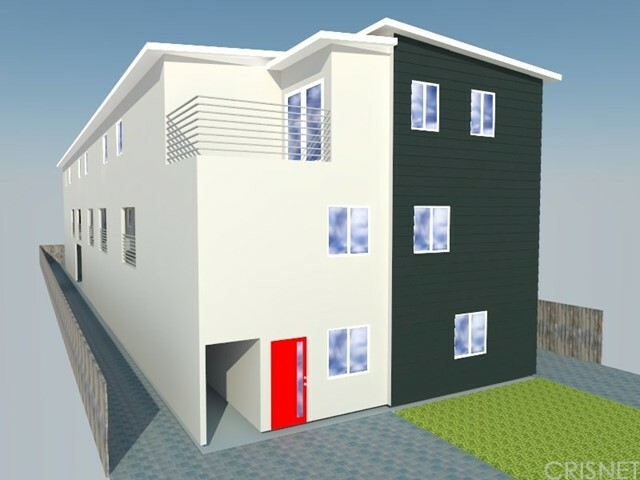 Basement is around 1120 sq.ft but this is not included in the sq.ft of the dwelling/lot. Back yard is well fenced by metallic sheets for privacy and security. Front Gate is heavy duty with remote control." "All offers due Tuesday, April 23rd by 6:00pm PST. 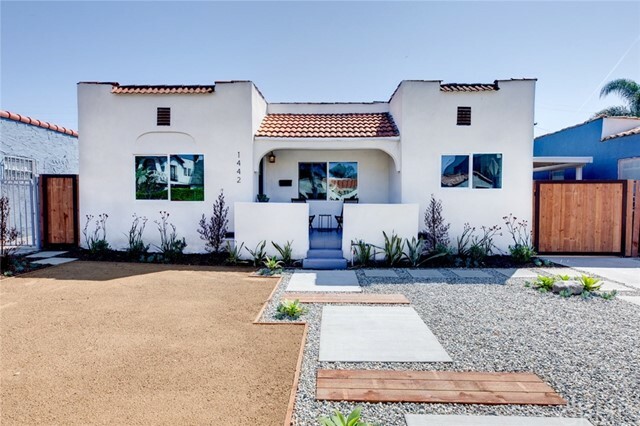 Introducing you to this stunning remodeled Spanish style home located right in the prime area of Mid-City Los Angeles. This thoughtfully updated 3 bed, 2 bath home offers captivating curb appeal and modern enhancements throughout. You ll fall in love as soon as you enter the covered front patio into a spacious living room. Brand new pristine flooring throughout, great natural light, and an open floor plan with multiple living & entertaining spaces that lead into a completely brand new kitchen. Enjoy your new custom cabinets, new stainless steel appliances, and fresh quartz countertops. The spacious master suite offers a large walk in closet, indoor outdoor flow, and beautifully updated master bathroom. The 2-car detached garage provides endless opportunities such as office space, guest suite, or potential ADU. Topped off with lush landscaping and a huge back yard. Great location on a quiet street just minutes away from Culver City, the Expo Line, DTLA, Beverly Hills, Century City, The Grove, freeways, restaurants, parks, and schools." "This beautifully updated Arlington-Heights historic Craftsman is situated on an extra wide tree-lined street with cinema-like curb appeal. Enter the home through the over-sized door and into the foyer where you'll find the main living area boasting many of the home's original character details; along with modern chic updates. The large living room opens to a formal dining area - each one showing off their own beautiful fireplaces. The kitchen features a commercial grade Viking range and handsome dark olive cabinets that frame the window looking out to the inviting private back yard. The main level offers 1 bedroom with en suite bathroom and private entrance. The downstairs den also has its own private entrance - perfect for guests. Upstairs there are 4 more bedrooms: 2 with private balconies, and 2 full baths. All this located on a fenced in corner lot with ample off street parking." "Almost New.!! 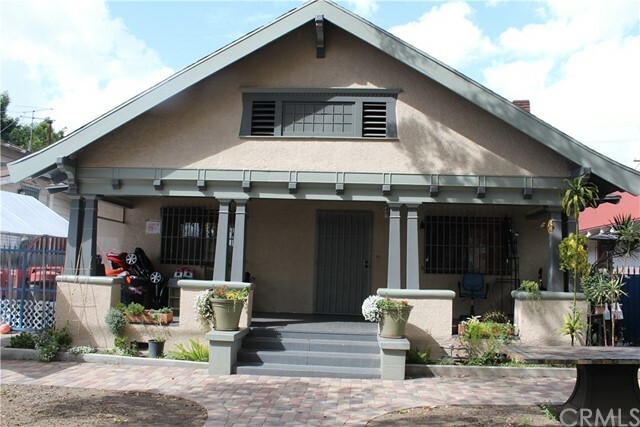 Stunning Remodeled two story beautiful home in Harvard Heights HPOZ. This home features a large open concept living space with new hardwood flooring, elegant recessed lighting throughout, a bonus room and plenty of storage space. Be impressed with a functional, new kitchen deisign with herringbone tile backsplash, new cabinetry, and new Vose Stainless Still appliances.This home also features a new sewer line, new copper plumbing,, new electrical system, new central air conditioning and heating system and a new tankless water heater.A brand new garage has been built in the oversized backyard with new landscaped grass and fruit trees and space for entertaining.A new automatic driveway gate. 3 BD and 3 BA all upstairs with a master suite two walk-in closets and balcony overlooking the back yard.All Work Done with PERMIT !!! Garage can be used art studio. MUST SEE !!!" "Spectacular California Craftsman home in desirable Arlington Heights.Fantastic curb appeal with charming front porch inviting you to sit back and relax. This home has been updated with love and is infused with historic charm and character including original woodwork,built-ins,and cabinetry.The light and bright home features a large family room, cozy library/den with fireplace, formal dining room, spacious kitchen with island, additional breakfast room, and laundry/mud room. Gorgeous first floor master bedroom with stunning bathroom and designer finishes. Upstairs you'll find two more bedrooms and a bathroom with claw foot tub to unwind in after a long day. Lovely outdoor patio and expansive back yard make this the perfect home to entertain and enjoy the California lifestyle. Centrally located offering convenient access to Culver City, Downtown, USC, Staples Center, shopping, supermarkets and close to the 10 FWY & Expo line making commuting a breeze.This special home is not to be missed"
"Spectacular 1914 California Craftsman home in desirable Arlington Heights.Fantastic curb appeal with charming front porch inviting you to sit back and relax. This home has been updated with love and is infused with historic charm and character including original woodwork,built-ins,and cabinetry.The light and bright home features a large family room,cozy library/den with fireplace,formal dining room,spacious kitchen with island,additional breakfast room,and laundry/mud room.Gorgeous first floor master bedroom with stunning bathroom and designer finishes.Upstairs you'll find two more bedrooms and a bathroom with claw foot tub to unwind in after a long day.Lovely outdoor patio and expansive back yard make this the perfect home to entertain and enjoy the California lifestyle.Centrally located offering convenient access to Culver City, Downtown, USC, Staples Center, shopping, supermarkets and close to the 10 FWY and Expo line making commuting a breeze.This special home is not to be missed!" "Incredible architectural and gated single family home with panoramic city views in hip Mid City. Setting a new standard for quality and fine living featuring sophisticated designer touches, high ceilings and walls of glass which provide each room abundant natural light. The cook's kitchen boasts high-end stainless steel appliances, custom cabinetry and a huge eat-in bar that opens to living room, dining room and private patio - perfect for entertaining. Upstairs are two generous en-suite bedrooms including the expansive master with two closets and superb bath. 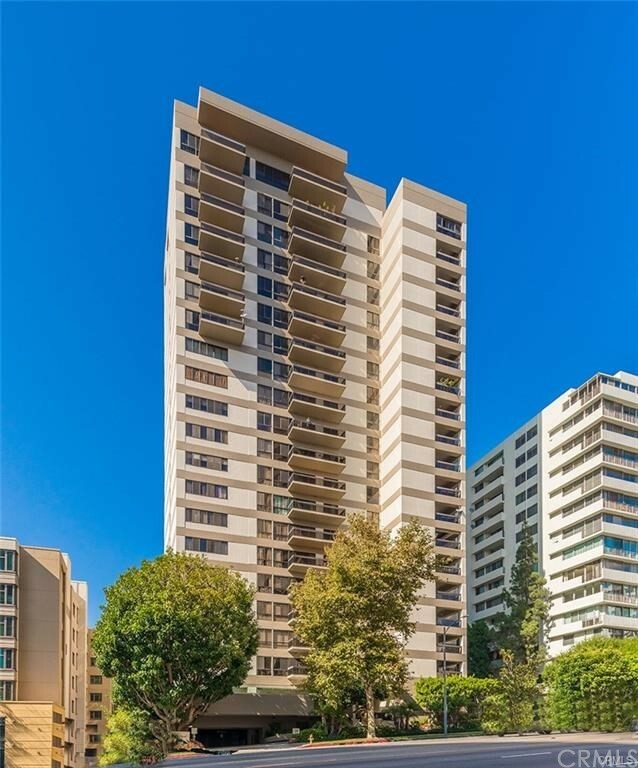 The upper level features a huge private roof deck w/gas BBQ connection, perfect for dining al fresco and taking in the dazzling Downtown and Century City views. Separate mudroom/office at entry. Gated & secure. The 89 walk score makes it a stroller's paradise while the location is also convenient to Downtown, Hollywood, the beach. Spectacular and timeless." "Fall in love with your new home in Mid City, LA. Adjacent to Picfair Village, this quintessential bungalow-style home has every feature and upgrade you have been looking for. Tired of seeing properties that need work and upgrades before you even move-in? With a 5-year-old HVAC system, tankless water heater, dual paned windows and a new roof in 2014 mean you are ready to enjoy life in your home instead of spending your money on improvements. Open floorplan and gourmet kitchen with white shaker cabinets. Jacobean refinished original oak hardwood floors in most rooms. Bright and cheery with light streaming in from the many windows. En-suite baths with beautiful subway tile back-splash accents. The huge backyard with black mission fig and white peach trees along with an ornate teak pergola for dining al fresco or just chillin. Zoning LARD1.5 means you can choose to expand or create an ADU in the garage. Imagine living here today and enjoy the endless possibilities." "Beautiful Craftsman style 2 story house in Harvard Heights, HPOZ. Originally designed by the Famous Architect Frank M. Tyler and built by the GreatMaster builder Frank E. Hartigan in 1907.This home features 5 bedrooms and 3 baths about 2600 sq ft. Completely renovated with new copper plumbing, new electrical wiring, 2 separate central air conditioning & heating system, new kitchen, and new bathrooms. A new garage has been builtin 2018 and automatic gated driveway, Additionally highlights include recessed lighting, 2 year old roof, original 2 staircases and a charming front porch. The backyard features usable space to make your entertainment or landscaping dreams come true. Plenty of parking in the back yard.Good for large family. MUST SEE !!!" "SELLER VERY MOTIVATE TO SELL!!!!!!!!!!!!!!!! !Situated in The Grand, this immaculately detailed two-bedroom unit spares no expense. Upon entering you are greeted with floor-to-ceiling windows that bathe the entire unit in warm, natural sunlight. The open kitchen has top-of-the-line appliances as well as a moveable bar/table and wine rack. The open living area is perfect for entertaining. One side of the unit houses the impressive master suite with a large walk-in closet as well as a refined bathroom which features a soaking tub. Opposite the open living room, a large guest bedroom equipped with its on en-suite bathroom awaits. Other features include, but are not limited to; conveniently situated en-suite washer and dryer hookups as well as two parking spaces inside the secured garage with 24-hour valet. HOA includes earthquake insurance." 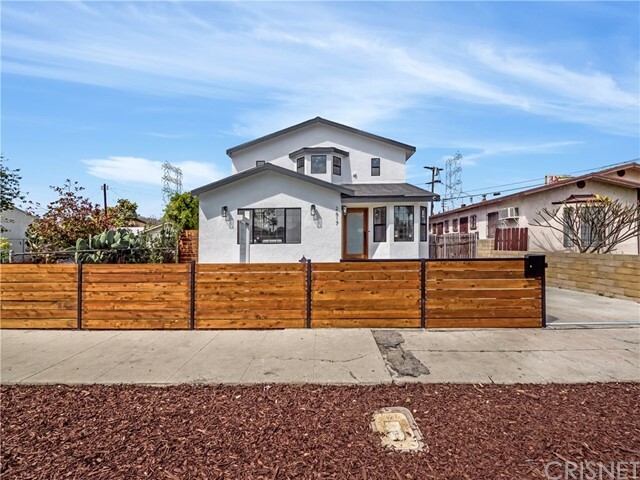 "Don't miss this stylish Mid City home with upgrades galore in one of L.A.'s most popular neighborhoods! This beautiful bright & spacious home was recently remodeled with high end finishes & custom designer details. Step into the sun filled living room and see for yourself! Open floor plan, cooks kitchen with newer custom cabinets, Caesar-stone counter tops, breakfast bar and spacious dining area are perfect for entertaining. Luxurious ensuite master, custom-built closets, beautifully remodeled bathrooms, recessed lighting throughout and 2 additional good sized bedrooms round out the floor plan. Enjoy CA indoor/outdoor life with large deck, built in swings & huge yard. Your private oasis awaits! Finished 2-car garage w/ sliding door, great for office or additional flex space truly completes the property. Carport & long driveway provide plenty of room for parking. Great location on quiet street, minutes from Culver City, DTLA, Beverly Hills, restaurants, Expo Line, beaches and freeways." "Recently remodeled two-story home in prestigious location. This BEAUTIFUL 4 bedroom home with spacious bathroom. Open floor plan with luxurious interior.Hardwood floors, Pleasant fine dining area. The remodel gourmet kitchen and reassess lighting. The cozy backyard provides ample shading from the Avocadotree. The property has Earthquake retrofit and a two car garage. Convenient distance to Markets, cafe, and Major Freeway. HPOZ R2 Zone."